If you’re about to write or rewrite the framework for your business, you might want to read over these business plan mistakes to avoid first. Compiling a business plan can be a daunting task, but knowing some of the pitfalls and business plan mistakes to avoid can make your job easier. Whether you’re applying for finance, a franchise or you want to become a supplier for a particular brand or product, your business plan can make or break your chances of securing a positive outcome. While the thought of writing a business plan can be overwhelming, the plan won’t write itself. If you’re passionate about your business, you need to portray that in your business plan. Start by mapping out an outline of the plan, listing the contents (the order can be changed as you go), then research the information you need and fill in the gaps. Although a business plan needs to contain a lot of information, try to avoid overloading the reader with too much information. People are time-poor and most of us just want the short version wherever possible. When information is missing from the business plan, it can sometimes look suspicious or as though you haven’t done your research. If an investor or interested party thinks your business isn’t ready for the next step, they’re unlikely to approve your application. You information really needs to be specific and precise. Poor researchTake the time to find the correct information for your business plan. Research your market or potential market. You may need to engage a professional research firm if you’re unable to do this yourself – think of it as an investment in the future of your business. Of course, figures are an essential component of your business plan. However, the reader will want an explanation of what the figures mean in terms of overall business growth and how you plan to produce the projected results, so you must ensure you have the wording to cover this. Figures don’t sell ideas, people do. It’s the people behind the business who have the power to make or break it, so it’s really important to include a brief profile of the key players in your business. Your readers will want to know what qualifications and experience you have and what your team is capable of achieving. A marketing plan is undoubtedly one of the most important components of your business plan. Having a clear marketing strategy in place is vital. Your plan must outline how you plan to advertise and promote your business, as well as your sales strategy and distribution channels. You must know exactly who you are going to sell your product or service to. Do as much research as you can on this topic. If possible, it’s a great idea to compile Ideal Client Profiles so that you know who you’re addressing in your marketing copy. 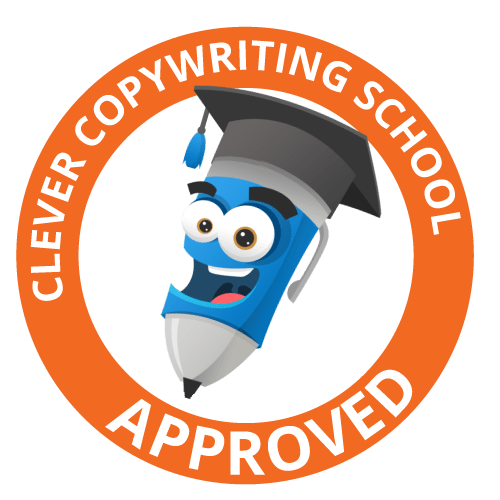 If your plan contains typos, spelling mistakes and errors in grammar or punctuation, it makes you appear sloppy and the reader may conclude you have a sloppy approach to your overall business – this is not the impression you want to make, is it? What sets you apart and makes you stand out? What makes your brand different from your competitors? You need to capture the essence of your brand and tell the story of your business in a way that makes the reader want to become involved in bringing your business plan into fruition. While it’s important to outline what makes you and your business idea great, it’s important to be realistic and not exaggerate the facts. Every person and every business has weaknesses. While you don’t want to place too much emphasis on these, it’s important to state what your weaknesses are and outline how you can improve on them. Doing this is realistic and expected. Every business has competition of some kind. It may not be direct competition, but there will always be some competition for your customer’s business. You may need to think about the issue from the customer’s perspective – what other options to they have? Your tone needs to be confident and business-like without sounding cold and unapproachable. Getting your point across in as few words as possible is also important. Being too wordy makes the business plan too difficult to read. Make it easy for your reader! This makes you appear unprofessional. It’s important to have a professionally-presented document which displays a consistent font, margin settings and headings. It’s also very helpful to have page numbers and an index which directs readers. The purpose of the Executive Summary is to provide a brief explanation of the contents of the business plan. While the summary usually appears in the first few pages, it’s best to write it after the remainder of the business plan, as things often change during the writing process. There are probably more Business Plan mistakes you could make, but I’ll stop there for now! If you’re completely overwhelmed at the thought of writing a Business Plan, I can help. I work with you, acting as a Project Manager to pull the most relevant information together. I’ll help write your plan and presenting it in a polished and professional way. Email me for a confidential chat about your Business Plan requirements. We’d all love to have an outstanding About Us page on our website, wouldn’t we? So what is it that makes one About Us page outstanding, while others are so dry? A captivating About Us Page holds the reader’s attention as it tells our story and outlines how we help our customers. In order to achieve this, it’s important to know the difference between content which tells your story in a way which draws your audience in closer, and information which bores them and has them clicking away. While the title of the page is “About Us”, the content needs to portray your story in relation to your customers and how you help them, so it’s really about you AND them. It can be tempting to write a chronological company history to show how long your business has been established, and this can be helpful in building trust, but it needs to be done in a way which is relevant to your audience. Whatever your story is, make it interesting and authentic. Who are your target audience? Who will read your website? It’s important to know who you’re aiming your message towards. What are their problems? How can you help solve their problems? Where do they live? What’s their family /marital status, etc. The reader has come to your site because they have some kind of problem they think you can solve. Firstly, you need to know what that problem is. Then you must outline how you can assist in solving that problem. Detail your approach to business – such as your values, vision and mission. Tell your readers how you solve their problem and why you’re the best choice for them. People like to hear about others who’ve used your product or service and how successful it’s been for them. Use brief testimonials or links to them to show social proof and reinforce the outcomes you’ve achieved for others. Include the client’s name and a photo if possible to increase credibility. Case studies are another great way to demonstrate the results you’ve achieved for your clients. Be sure to use photos included before and after shots to show the outcomes. We’ve all seen them – the dry, boring chronological company history on an About Us page. While this information may establish some trust and respect by showing how long you’ve been in business and where you’ve come from, your readers are more likely to be interested in where you’re going. The bottom line is that a detailed and lengthy company history often isn’t relevant to what you can do for the customer today – keep it short and sweet! Remember, your audience may never have interacted with your business prior to landing on your website. They’ve clicked on your About Us page because they want to know more about you – they want to get to know, like and trust you. It’s ideal if you can include at least a team photo, and hopefully individual headshots too. Photos humanise you and help people put a face to the name. It certainly helps to promote the trust factor. Be clear about what you want your readers to do after they’ve read your page. Invite them to connect with you on social media, sign up for your newsletter, phone you or offer an alternative way to establish trust with them. When you set out to write your About Us page, the most important thing to understand is what your audience is looking for. The information on your About Us page must be authentic and capture the unique essence of your business, but it must clearly state the benefits you provide to your customers. The above tips are simply a guideline to assist you with writing an outstanding About Us page. If you need professional help with writing your website copy, feel free to contact me via: info@ProfessionalWriter.com.au. Do you want to know how to attract premium clients who are willing to pay more? When I ask, “Who is your ideal client?”, a lot of small business owners reply, “Anyone who wants to buy X,” referring to their product or service. In a way, this is true. However if you want to attract clients who are willing to pay a premium price for your products or services, you’ll need to sharpen your focus. If you’ve already been in business for a while, you’ll know there are some clients who are more profitable than others, and some who are willing to pay more to secure your product or services. Of course, we all want to attract premium clients and focus on them, don’t we? Quite simply, these clients can clearly see that you demonstrate VALUE to them. People buy value and are more likely to pay a premium price when that value is clearly demonstrated. There’s an old adage in writing – “Show, don’t tell”, and as such, the secret to demonstrating value in order to attract premium clients is not telling people how you add value, but in showing them. Without a doubt, everyone in small business solves some kind of problem. If you want to display your value proposition to a broader audience, you need to show them how you solve their problem. For example, if you sell cleaning products, you could demonstrate how you help people to clean their homes or business premises faster, easier or more economically. If you’re a graphic designer, you could show businesses how you help them to brand themselves with the professional presentation on their website, business cards, printed materials, etc. You get my drift! Show your clients how you add value and solve their issues. At this point, it’s important to remember who you are targeting – i.e. who your ideal clients are. You need to specifically target this audience, addressing their particular needs and problems, and showing how you solve those issues for them. This type of visual tool provides the reader with an understanding of the results which can be achieved through your product or service. For example, let’s say you do lawn and garden maintenance. Imagine the power of using before and after photos to show the outcome of your hard work? A very powerful tool which give a brief overview of a completed project. Case studies demonstrate how you solved a client’s problem and the outcomes you were able to achieve for them. It’s a great idea to include some step-by-step photos in the case study and demonstrate your process, particularly when it is complex. Share these stories on social media for added exposure, and include people in the photos to humanise the case study. Adding a testimonial provides even more oomph to your case study. There’s nothing as powerful as the testimony of past and present clients who attest to your skills and expertise. As a third party, their words are much more powerful in persuading potential clients than yours will be. Your testimonials need to explain how you solved the client’s problem and the outcome you achieved on their behalf. Readers will identify with the problem and the testimonial demonstrates how you’ve already confidently and capably dealt with the issue for others. Using video to demonstrate your product and how it works is a great way to demonstrate value. If you offer a service, you could use the power of video to walk your viewers through the process you use. Perhaps you could even feature a brief video testimonial from a happy client. Demonstrate your authority and expertise in your chosen field by offering free quality content on your website. Free content shows that you know your stuff and you’re happy to share your knowledge. Readers enjoy free articles, infographics and downloads which enhance their understanding of your product, service, industry or current issues. Establishing a community around you is a great way to demonstrate value. Setting up a Facebook group is free, simple and a great way to interact with people interested in your industry. Interact with people in your group on a regular basis, encouraging questions and comments from them. By answering questions in your group or other online forums, or by publishing a regular online newsletter or blog posts, you’re able to further demonstrate your knowledge and help your clients at the same time. Once you establish rapport, people are more likely to buy from you. When you showcase your authority, they are more willing to pay a premium price. A great way to gather like-minded individuals and potential customers is to host an event. You could focus purely on networking, which provides people with the opportunity to meet and work with others in the community. You could run it as an information sharing event where you educate clients on a topic related to your industry. Or you could show your community spirit by hosting a fundraiser for your nominated charity. All these events put you front and centre, helping to build your brand and establish you as an authority figure who people want to buy from. Be patient, it’s a process and you won’t see results overnight. However it’s certainly worth putting some time and effort into these methods as part of your marketing strategy. A combination of these tips will attract a wide range of clients and assist in demonstrating how you add value. Those clients will then get to know, like and trust you. Once you’ve established trust and capability, clients are definitely more willing to buy and will also step up to a premium price range. Have you tried any of these methods to attract premium clients? How do you successfully attract premium clients?